A skylight is a window installed in the ceiling or roof allowing an abundance of natural light into a space. The addition of a skylight is a stunning and impressive feature. 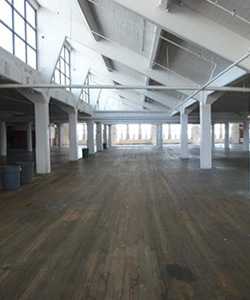 A commercial space with tons of natural light is currently very in demand. A beautifully lit office space offers a business many benefits including a morale boost for employees. Natural light can provide positive mood enhancers for the staff as well as energy conservation for the business. As green architecture and energy conservation are becoming more popular and requested by many businesses. Natural light and sunlight can provide viable options to replacing other energy byproducts. The movement is continuing the popularity of skylights using daylight to keep energy cost down. Skylights in a commercial space are a solution to add natural light to an office space without adding windows to the exterior wall. In Manhattan, the amount of offices with a skylight are rare and limited. A top floor office may be difficult to find within a tenant’s budget. A top floor unit with a skylight tapers off the options even further. Commercial and tower office buildings with a skylight feature are infrequent and rare. Our brokers have extensive knowledge and relationships from our years of experience in Manhattan’s commercial real estate. 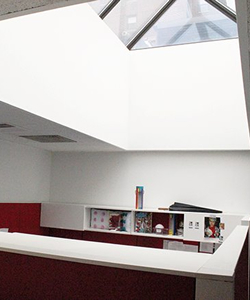 Our brokers can provide a list of available spaces and buildings that feature a skylight. Additionally, our database has access to any commercial spaces currently for lease or sale, and any spaces that will become available. Call us today to discuss any and all options at no obligation or fee.